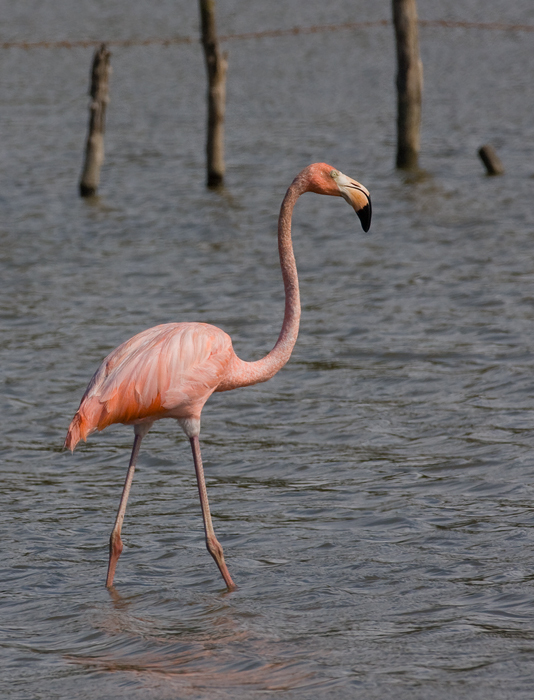 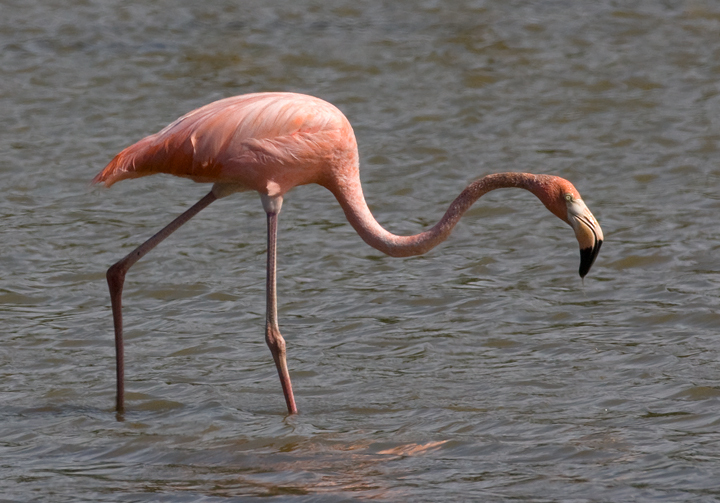 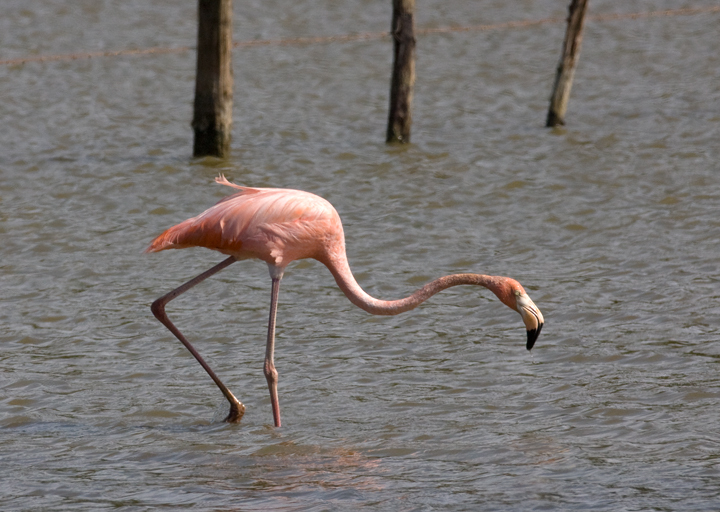 Above and below six: An American Flamingo on the north shore of Puerto Rico. 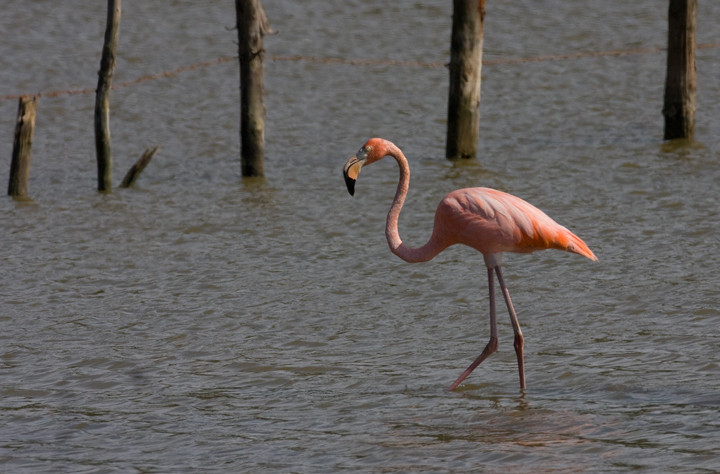 Studying this fantastic bird, my first flamingo in the wild, was not only a highlight of the trip, but of all my time birding. 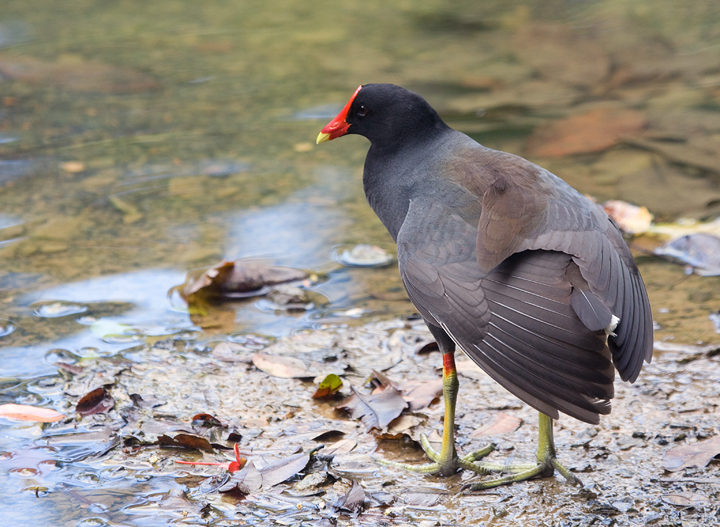 Below two: Common Moorhens at Laguna Cartagena and at the Jardin Botanico in San Juan (4/2009). 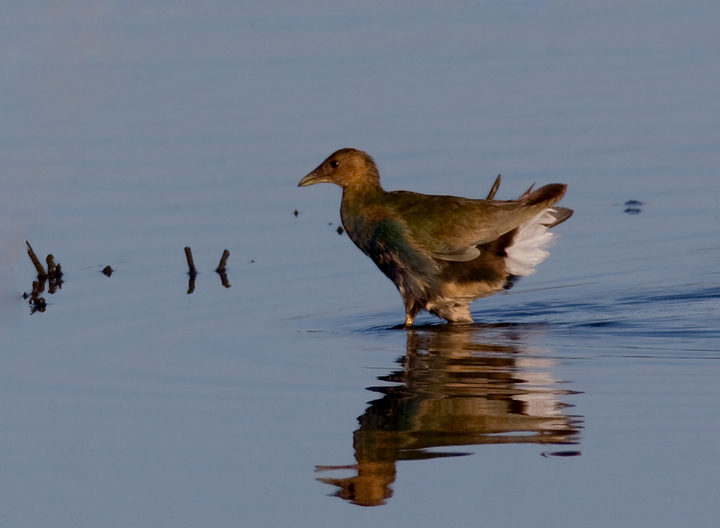 Below: An immature Purple Gallinule at Laguna Cartagena, Puerto Rico (4/12/2009). 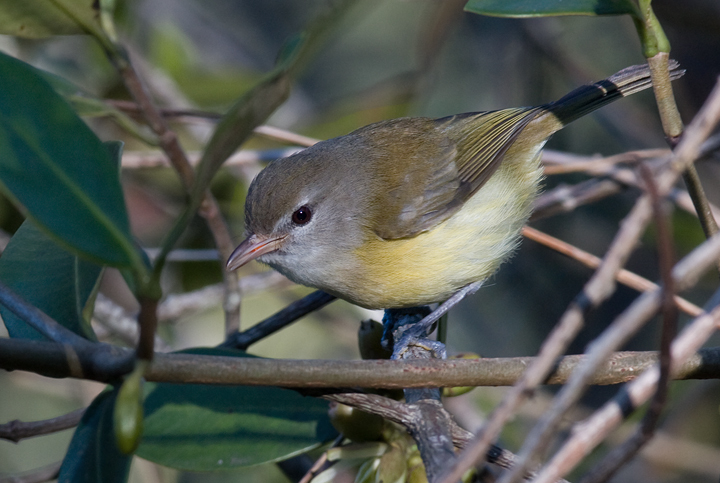 Below: A Puerto Rican Vireo in Bosque Estatal de Maricao, Puerto Rico (4/11/2009). 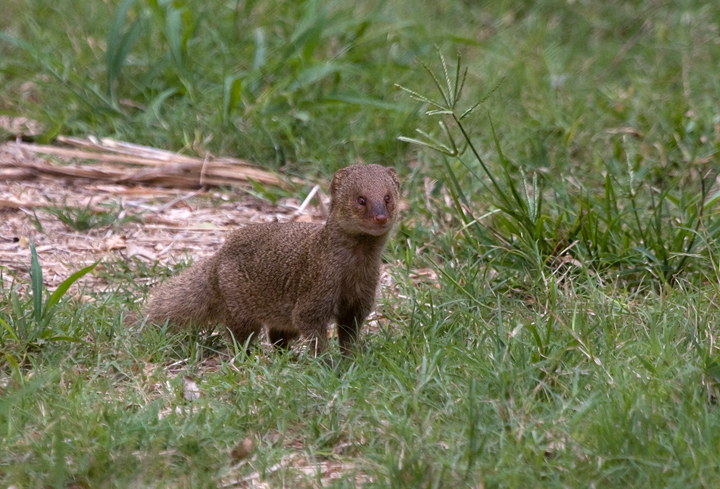 Below three: An Indian Mongoose on the prowl near Laguna Cartagena, Puerto Rico (4/10/2009). 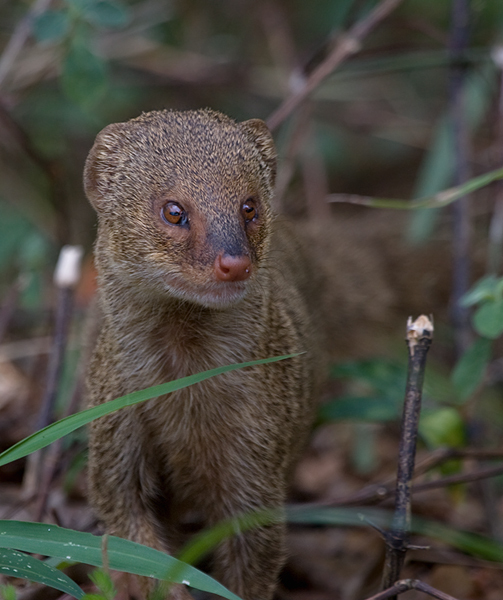 Introduced to control pests such as rats, the mongoose is now (as in Hawaii) a real threat to native species. 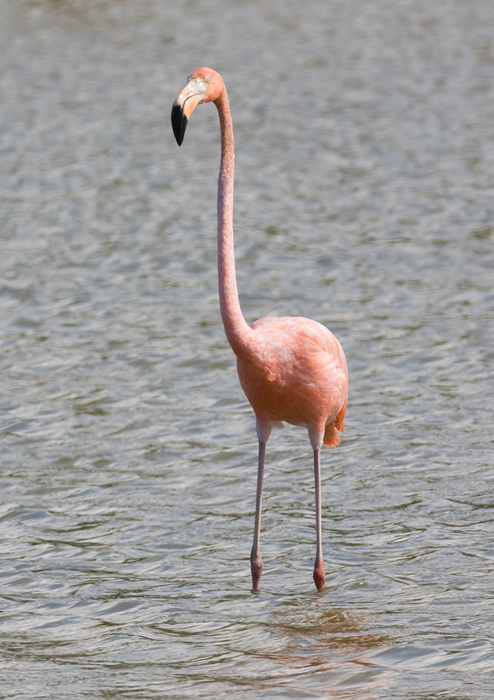 They're fascinating creatures, though, and getting good looks at them is always a treat. 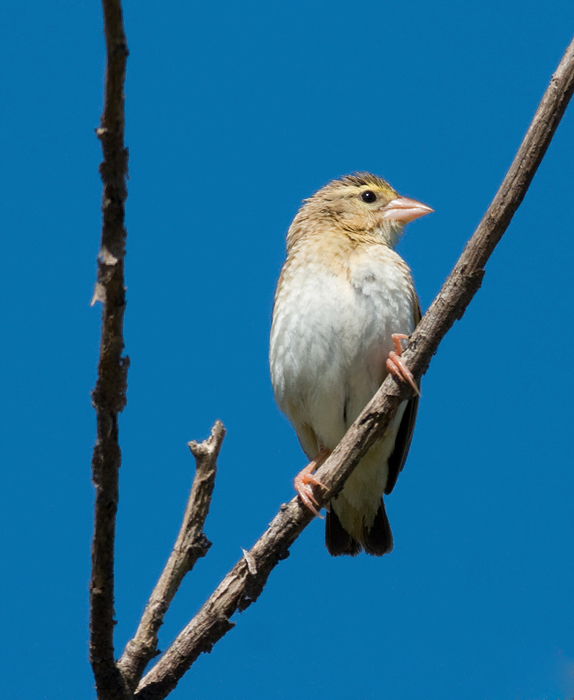 This one paused momentarily on the trail near me, and I began to make quiet squeaking sounds. 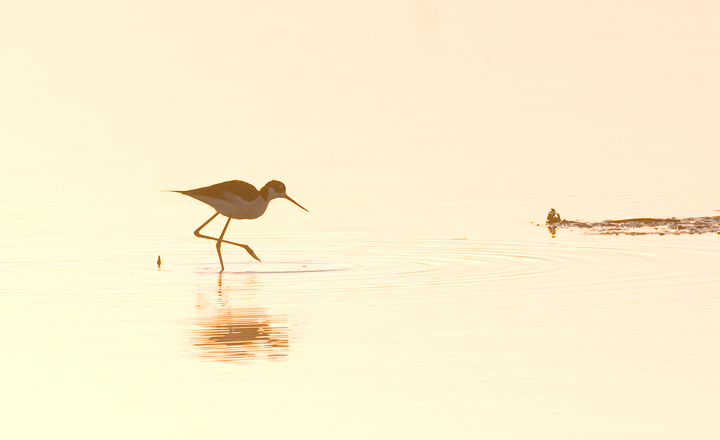 It immediately approached to investigate, and the third shot was as close as I wanted it (shooting with the 400mm). 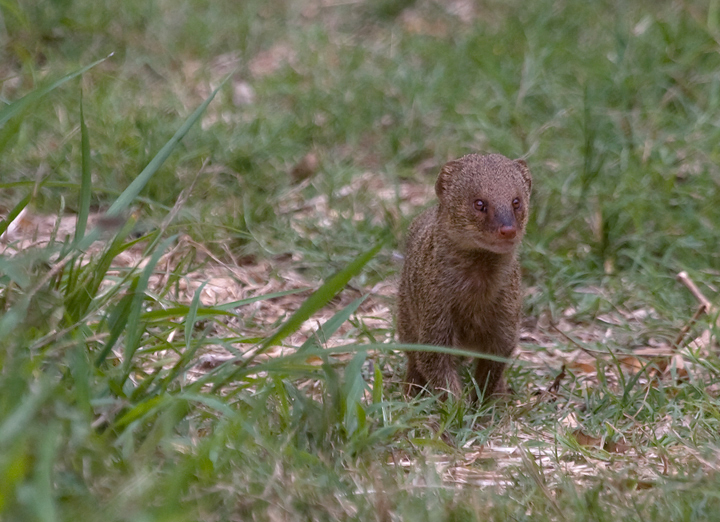 Getting a nice mongoose photo is very cool. 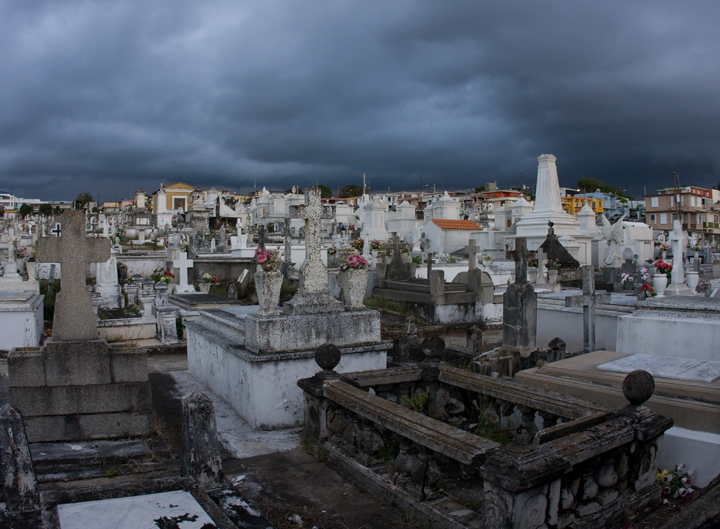 Leaving Puerto Rico early because you got yourself bitten by a mongoose, not so much. 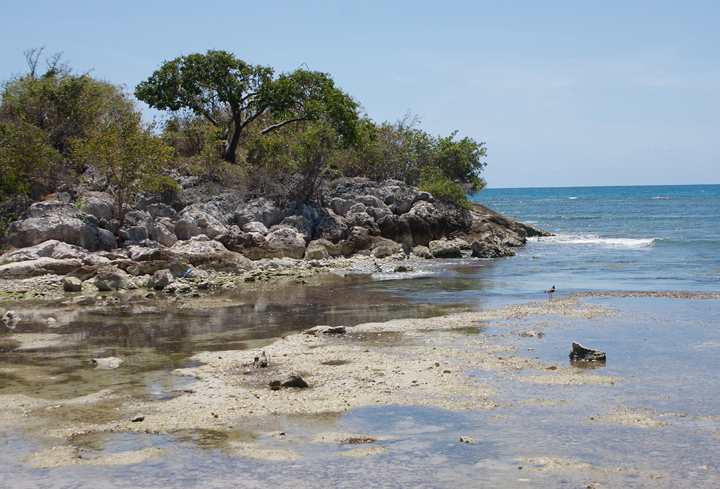 Below: A rocky beach near Bosque Estatal de Guanica that hosted American Oystercatchers and Ruddy Turnstones. 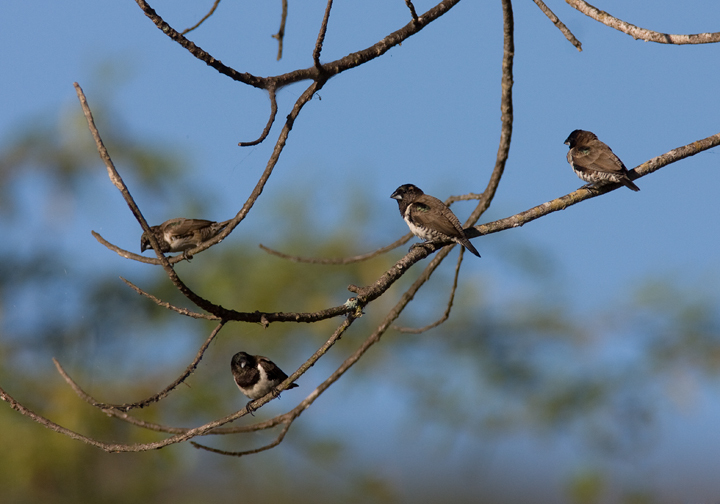 Below: A small flock of introduced Bronze Mannakins near Laguna Cartagena, Puerto Rico (4/12/2009). 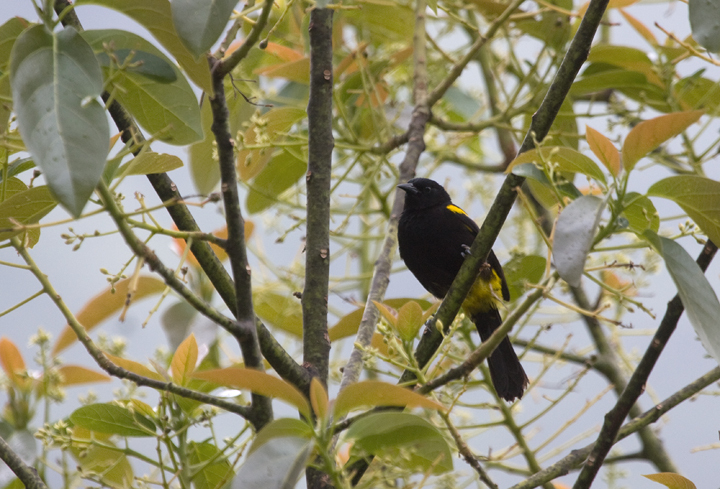 Below: A Greater Antillean Oriole near El Yunque, Puerto Rico (4/5/2009). 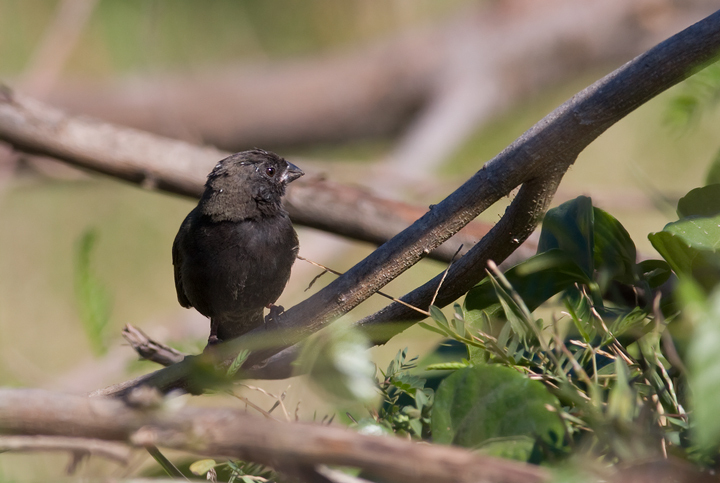 Below: A male Black-faced Grassquit along the roadside near Laguna Cartagena, Puerto Rico (4/12/2009). 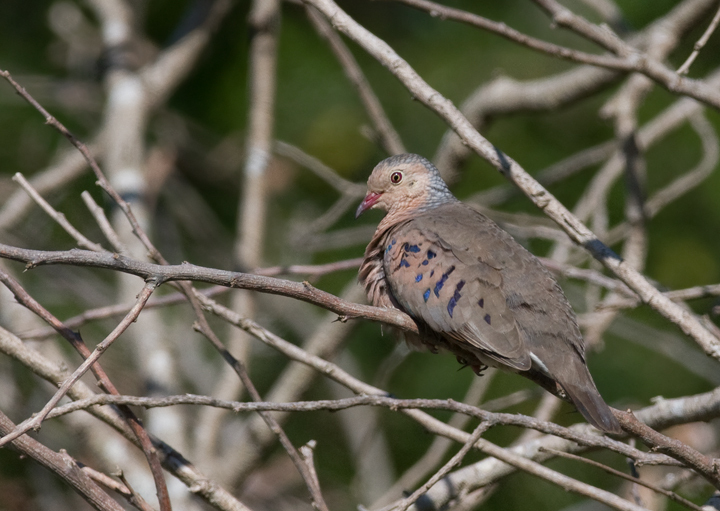 Below: A tiny Common Ground-Dove resting beside a back road in southern Puerto Rico (4/11/2009). 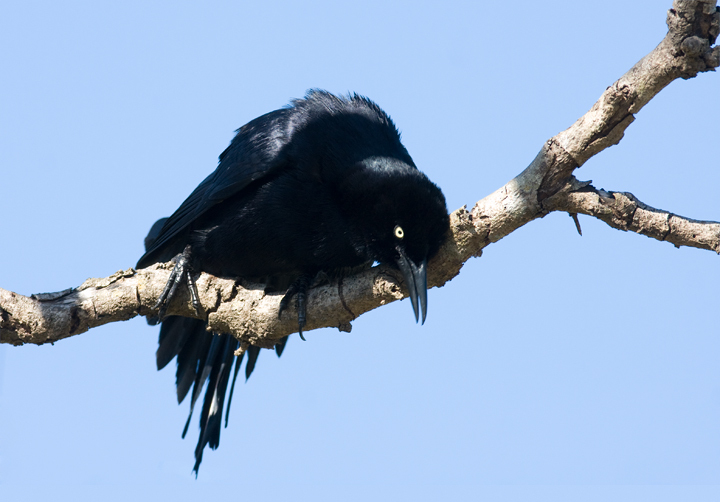 Below: A Greater Antillean Grackle cleans his bill on a branch near Laguna Cartagena, Puerto Rico (4/12/2009). 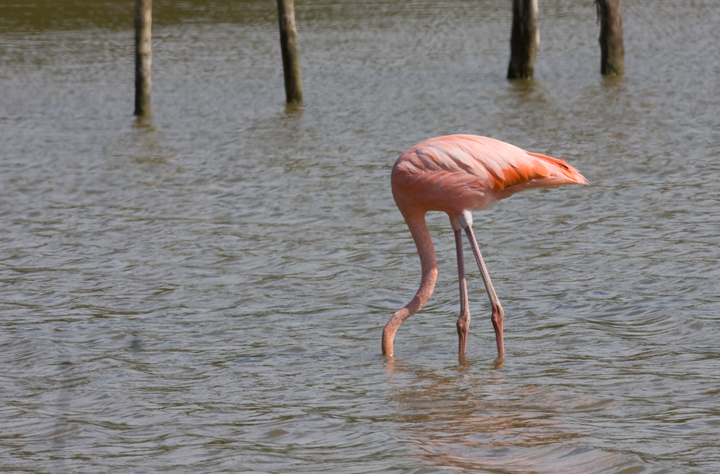 Either that or he is lovesick and/or drunk. 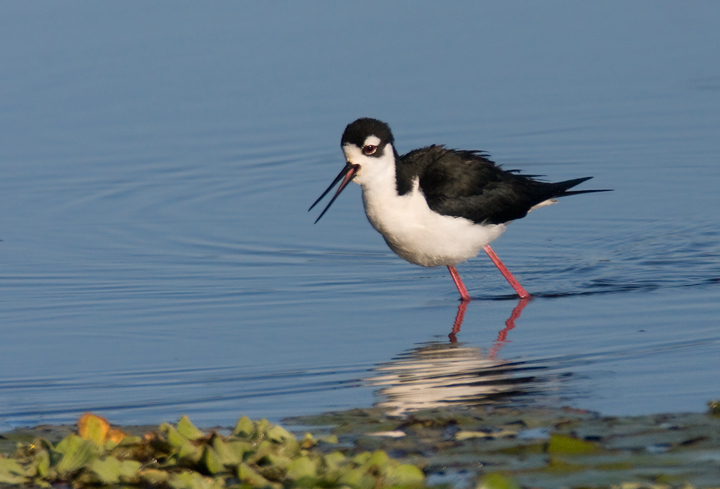 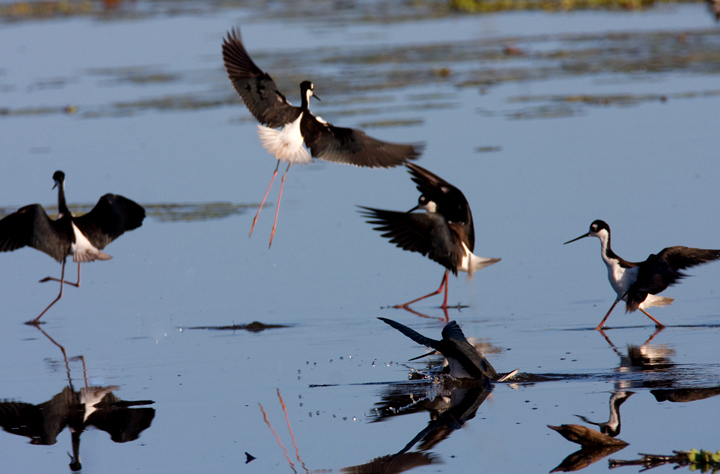 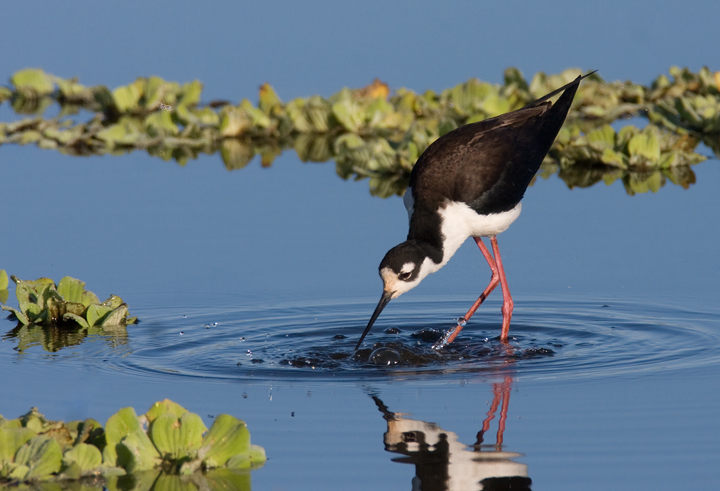 Below four: Black-necked Stilts doing what they do best--generally yipping and having a good old time--at Laguna Cartagena, Puerto Rico (4/12/2009). 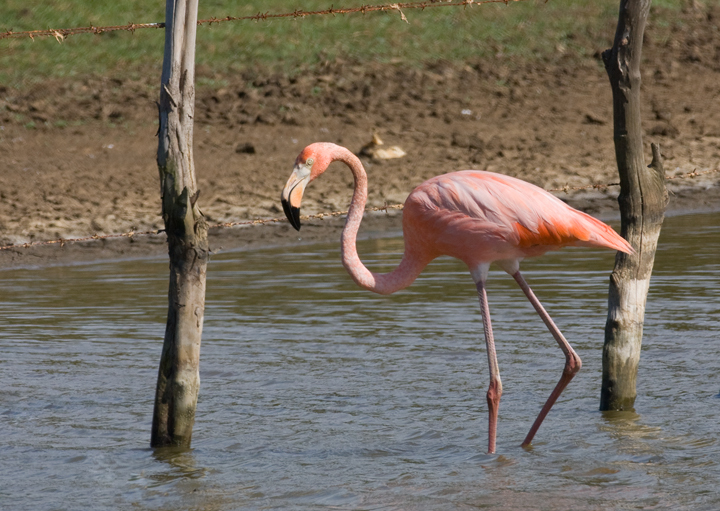 Below: An introduced Orange Bishop near Laguna Cartagena, Puerto Rico (4/12/2009). 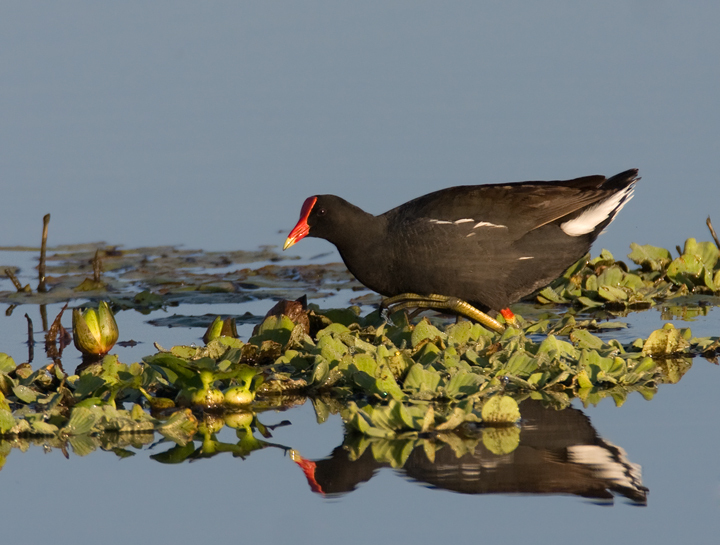 A review of my photos from this area showed that the rarer bishop species, Yellow-crowned Bishops, were also present. 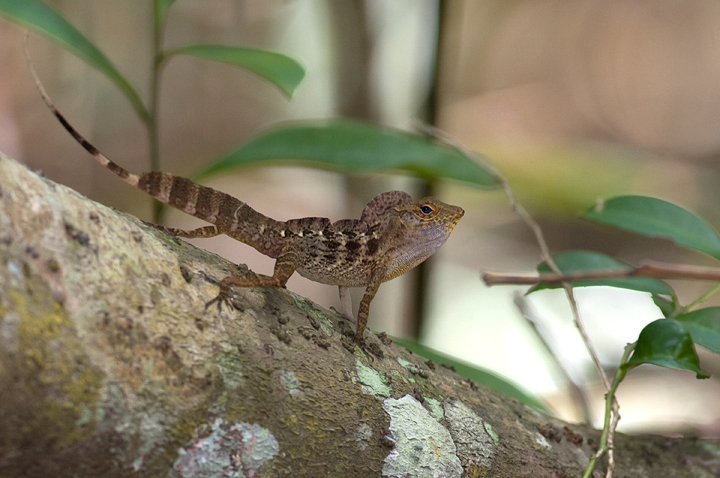 Below: A presumed Puerto Rican Crested Anole displaying boldly at Bosque Estatal de Maricao, Puerto Rico (4/11/2009). 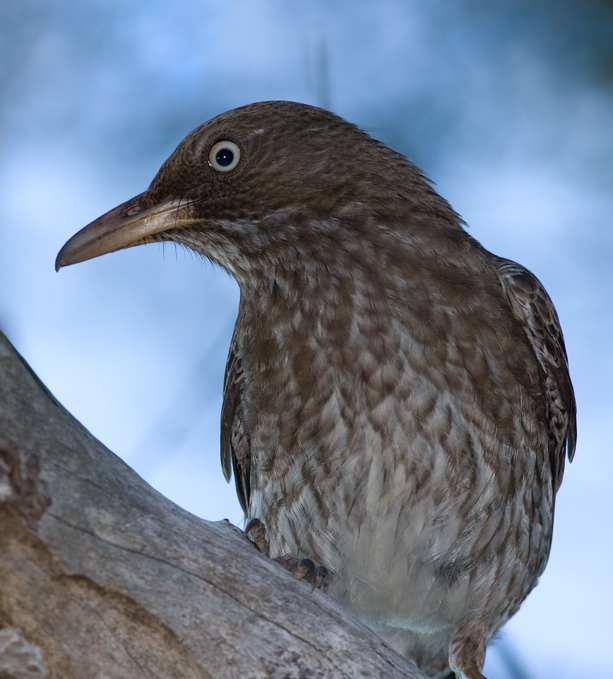 Below: A Pearly-eyed Thrasher near El Yunque, Puerto Rico (4/6/2009). 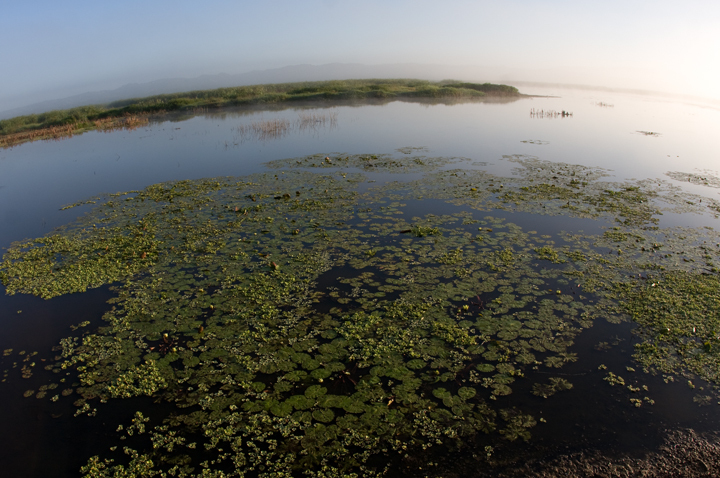 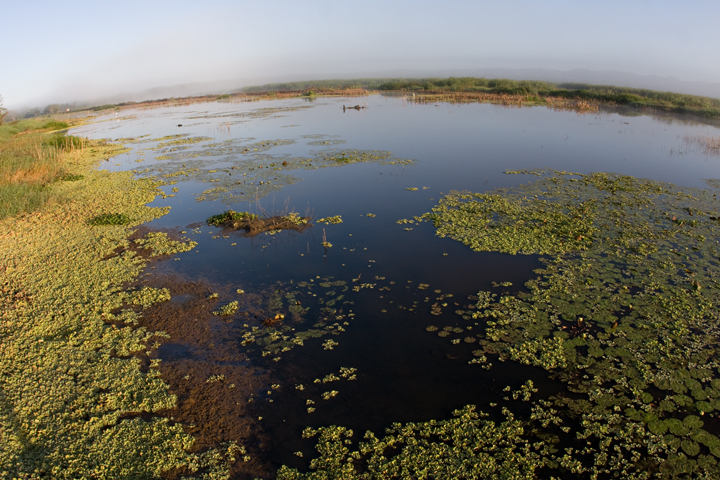 Below two: Laguna Cartagena at dawn, one of the most beautiful and diverse freshwater marshes I have ever visited.